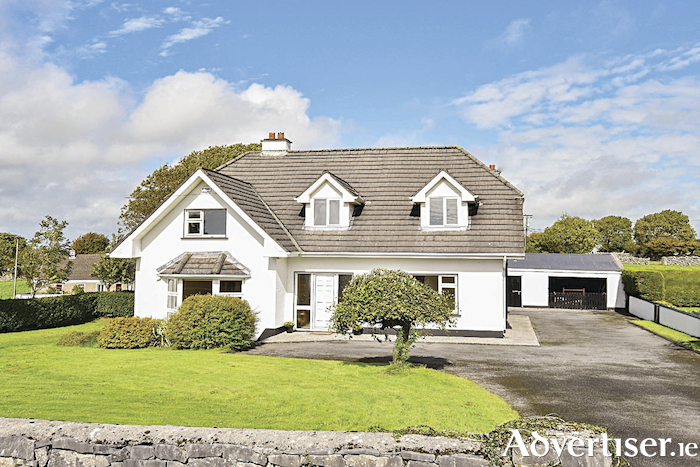 O'Donnellan & Joyce is offering for sale this beautiful five bedroom family residence at Kiloughter, Menlo, Co Galway. Homes in this idyllic location rarely come to the market and this is a property of true distinction and style. Located in the village of Menlo, the property is found on a mature site measuring c0.25 acre and is just four miles from Galway city centre. This property has all that one would possibly require in terms of space and views within a tranquil rural setting and still just a five minute drive from the heart of Galway city with all of the shops, schools, sports and recreational facilities the area has to offer. Menlo is a highly attractive and much sought after residential location. This property would be ideal for an owner occupier with a growing family or as a superb holiday home. This property is presented and maintained in showhouse condition with careful attention to detail and decor throughout. The accommodation includes a bright and spacious welcoming hallway with feature tiling, and a large lounge with feature floor to ceiling bay window and open fireplace. The heart of the home is the open plan kitchen/dining room. The kitchen is fitted with solid wood bespoke units and granite worktops. The dining room leads into a second family lounge room with a feature solid fuel stove and access to the side patio area. Also located on the ground floor is a double bedroom with en suite bathroom. A spacious utility room and laundry room completes the accommodation on the ground floor. The first floor comprises the main family bathroom, four double bedrooms, and a large home office, which could be used as an additional bedroom if required. Outside, the wraparound driveway gives access to the rear of the property and also services the entrances to the three large sheds to the rear of the residence. This property is surrounded by mature gardens and beautifully appointed limestone walls. This exceptional residence has been refurbished and modernised over the years to provide the ultimate family home in this lovely setting. Offering quality fixtures and fittings throughout, this property oozes style and taste and it is obvious that the current owners have spared no expense in creating a wonderful family home. Viewing is highly recommended and guaranteed not to disappoint. The BER is C3. Asking price is €425,000.